Unscrupulous, Frustration, embarrassing, unbelievable and indeed unacceptable, were some of the few words lamented by a greater segment of the public totally placed in information incommunicado regarding actual clarity on the inheriting of a broke country and a broken economy, a deep-seated political misery and nightmare simmering from the past and present administrations about truth telling. 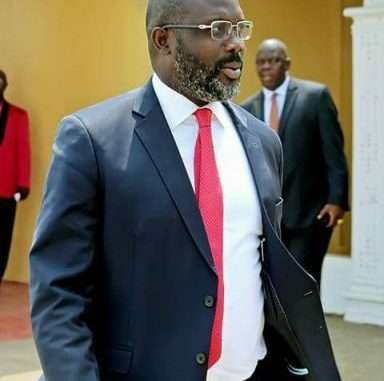 As things stand momentarily in the weary political arena as well as in the corridors of power play, how does Weah under oath to communicate clearly and free of ambiguity to the governed when his explanation continues to generate more looming unresolved hurdles featuring who gave or did not give a broke country and a broken economy. Time for the fright-driven cat-and-mouse game is over nor the days of hide-and-seek is also far too from playing “political hockey” because all such syndrome does is to out of cowardice willfully suppress and delay the flight justice. Disconnect yourself from whatsoever piratical or campaign vow made, that seems to box you into total idolization to perhaps a time, situation, condition or covenant. Keep soberly in mind that day has broken and that the era you long craved for has not just come, but is actually here; time to break the seal and yoke; stand up tall to the task of your overwhelming popular mandate and fearlessly demonstrate that indeed, you are your own man; captain of the era and champion of its destiny- Time to show your juice by being yourself. Fear no mover and shaker nor wheeler and dealer or would-be foe; shun no hardship because the day has come, and you must without hesitation, perform your nationalistic and patriotic duty dubbed: the people’s business for which they elected you over all others. Remember that when the task takes a long time, it pays fruitfully to begin early; being mindful that indeed, delays are dangerous; so now is the time to run whiled the sun is hot. Again, at this quizzical juncture, what remains written on the poitical wall is shameful Weah…put clarity to work.